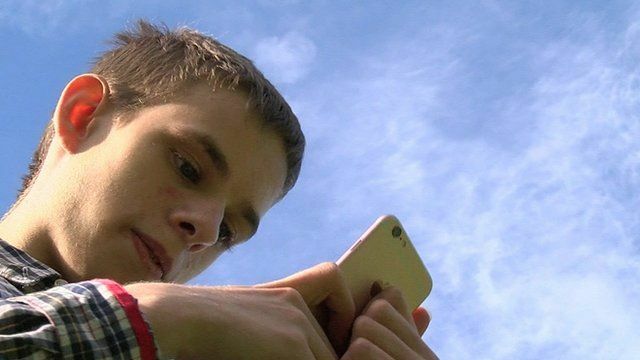 Pokemon Go 'transformed teenager's life' Jump to media player A mobile phone game that has caught the attention of the world also appears to have caused a breakthrough with autism sufferers, as the Victoria Derbyshire programme finds out. That Pokemon craze? Jump to media player It's not actually going to make Nintendo that much money. Pokemon players take to the streets Jump to media player A new mobile game that lets players catch Pokemon as they roam the streets has become a phenomenon. When Pokemon mania first hit Jump to media player A look at the first time that Pokemon became a craze in the 1990s. Pokemon Go 'gave me my son back’ Jump to media player Adam is autistic and suffers from anxiety. But Pokemon Go has given him new confidence. Jeremy Corbyn catches a Pokemon Jump to media player BBC reporter Adam Fleming shows the Labour leader Jeremy Corbyn how to play Pokemon Go. A mobile phone game that has caught the attention of the world also appears to have caused a breakthrough with autism sufferers. Pokémon Go, released in the UK in earlier this month, is played by users walking around the real world to catch virtual Pokémon animals. It appears the game's mix of real and virtual reality has helped to break down many of the social barriers autistic people feel when they are out in public. Victoria Derbyshire, weekdays from 0900-1100 BST on BBC Two and the BBC News Channel. Follow the programme on Facebook and Twitter, and find all our content online. Go to next video: That Pokemon craze?